Note: The park reopened on June 3, 2017 after being closed since October, 2016 for pine tree harvesting. New photos taken after the re-opening at the end of the post. 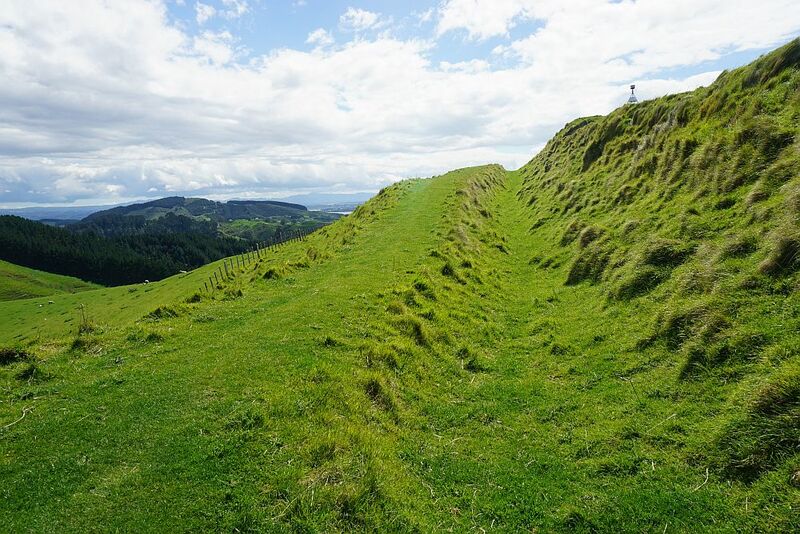 The Papamoa Hills Cultural Heritage Regional Park near Tauranga was opened in 2004 as the first regional park outside the Auckland and Wellington regions. 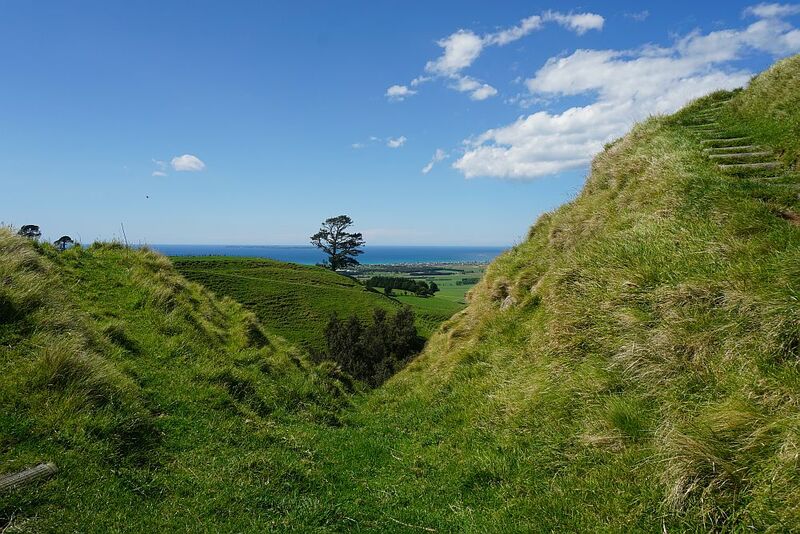 It contains a number of early Maori pa sites within a small area, with ditches, middens, and terracing on the hillsides. 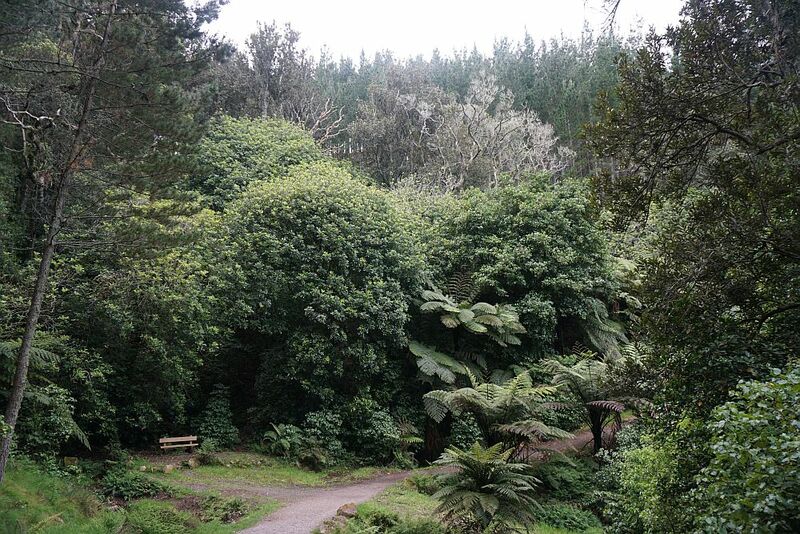 The main walkway starts by a carpark at the end of Poplar Lane, off SH2 between Tauranga and Te Puke, and ascends through radiata pine forest to open farmland, and the pa at highest point in the park. 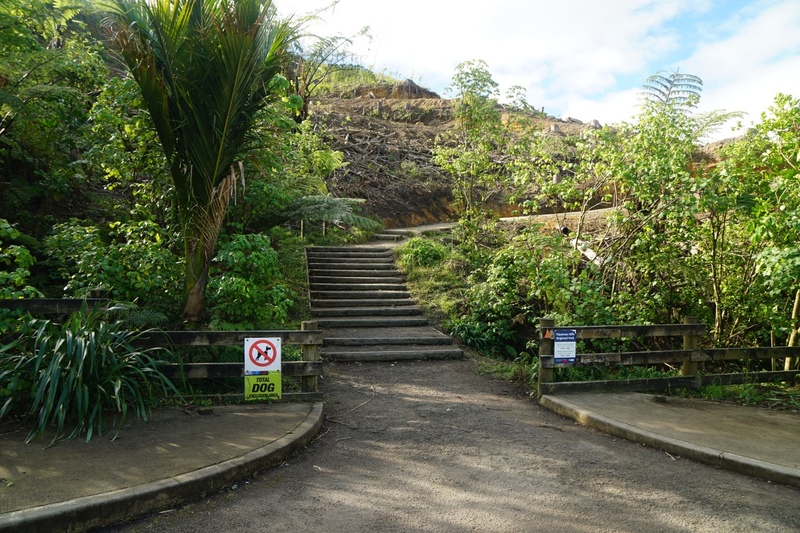 There are walkways to other pa sites, and to the Summerhill mountain biking tracks. There are good toilet facilities at the carpark, and good information panels giving details of the regional park and the walkways. 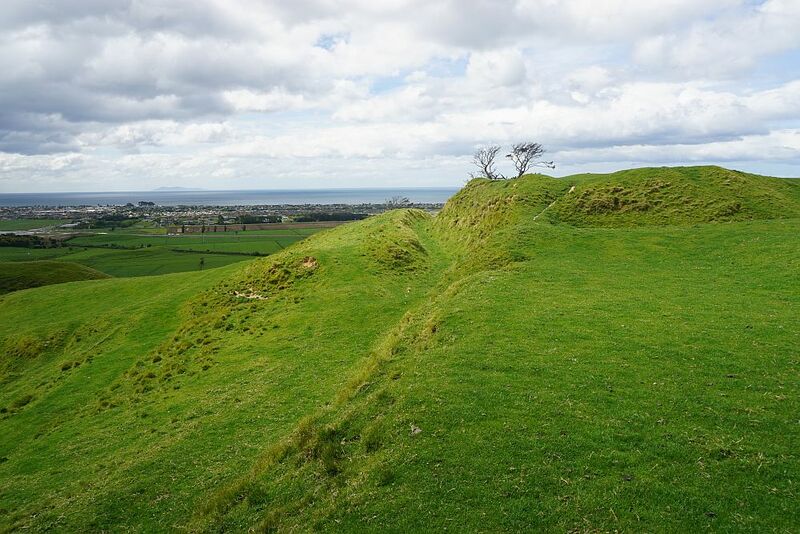 More information about the park can be found on the Bay of Plenty Regional Council web site. 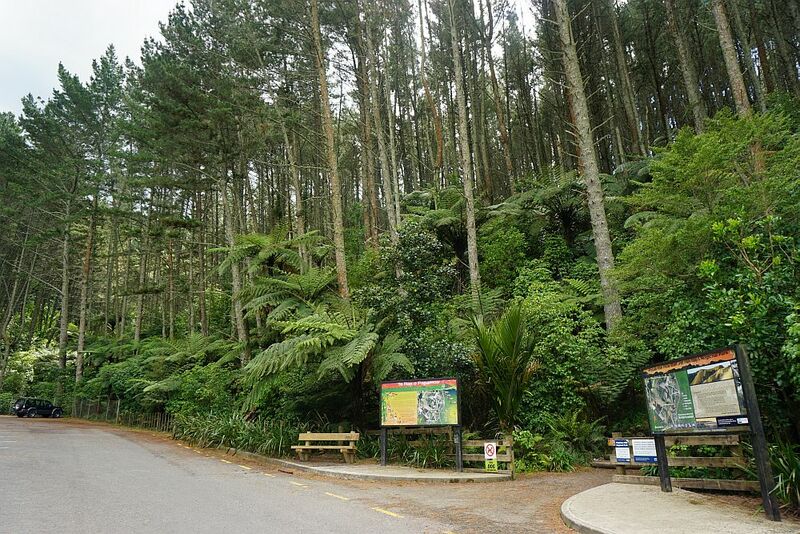 The highest point is at 224m above sea level, and the carpark at about 30m asl, so there is a climb of close to 200m. The first part passes through radiata pine forest, where the track can be slippery when wet, as it is bare soil covered with pine needles. 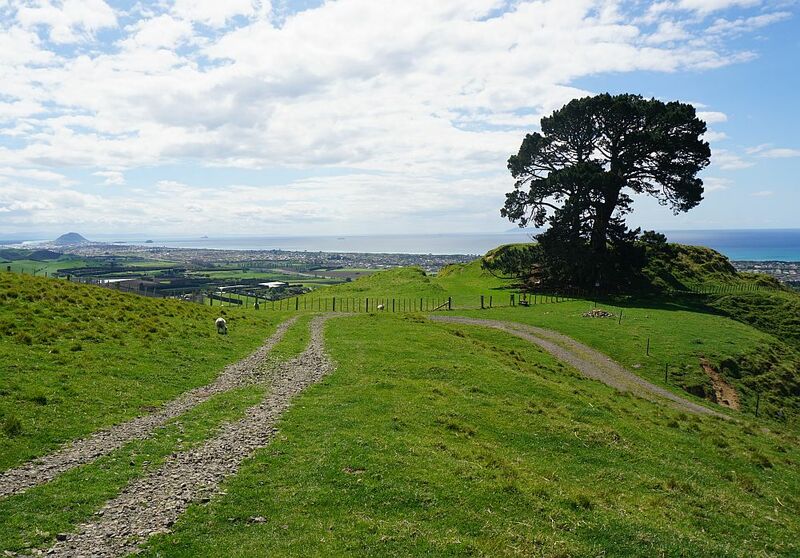 The track continues on open farmland, where sheep and cattle may be grazing. The tracks are popular, and can be quite busy with runners and walkers. The tracks are family friendly and easy to walk, so is also often used by families with small children. To cover most of the tracks and visit the pa sites, returning to the carpark, is a walk of about 5 to 6 km. The information panels at the carpark state that the walking time to the summit is 45 minutes, for a distance of about 2 km. The carpark on Poplar Lane, with the information panels and the start of the track to the summit at the right. The track has some steps before continuing as a wide dirt track covered with pine needles. There are bench seats in several locations alongside the track. Here in a patch of native trees amongst the plantation pine trees. 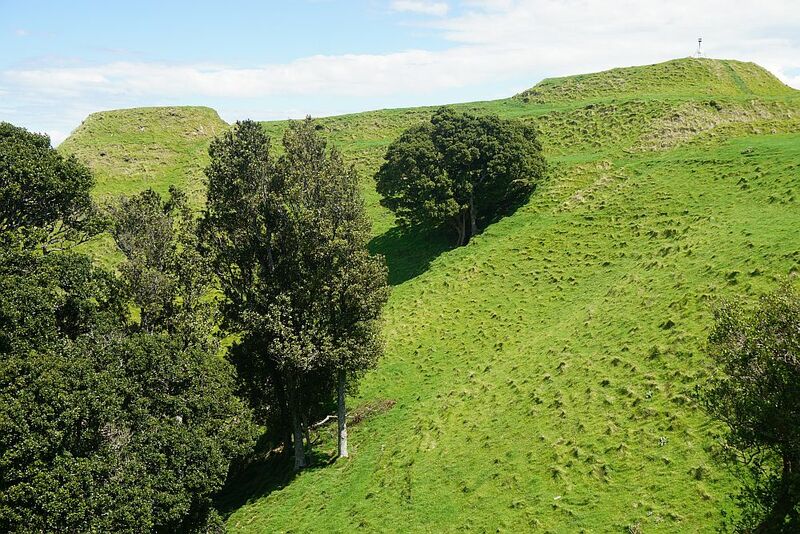 Native trees have been planted at other locations within the park. 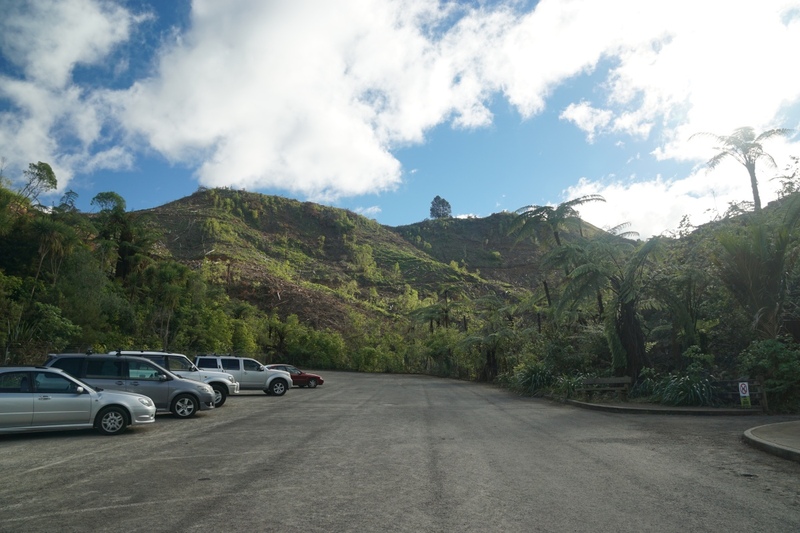 The two pa sites at the highest points of the park. 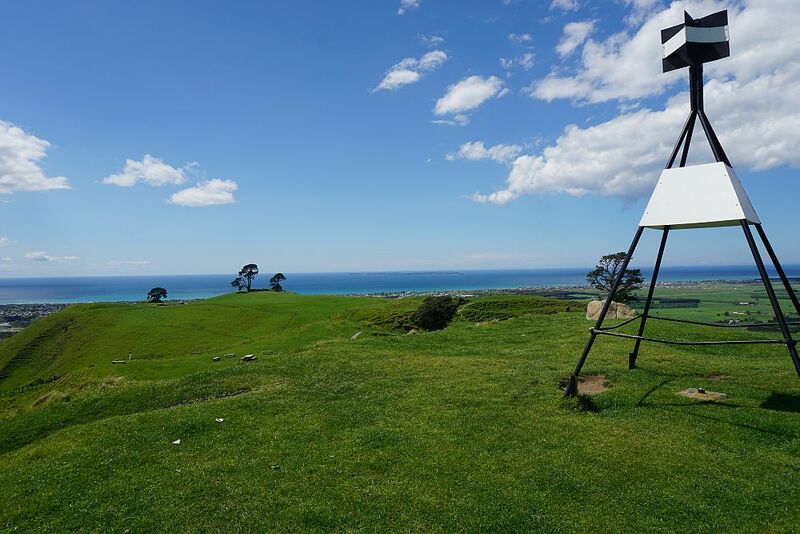 The trig station marker on the right marks the highest point at 224 m asl. Some of the terraced hillsides are visible. The park is next door to a large stone quarry at the end of Poplar Lane. 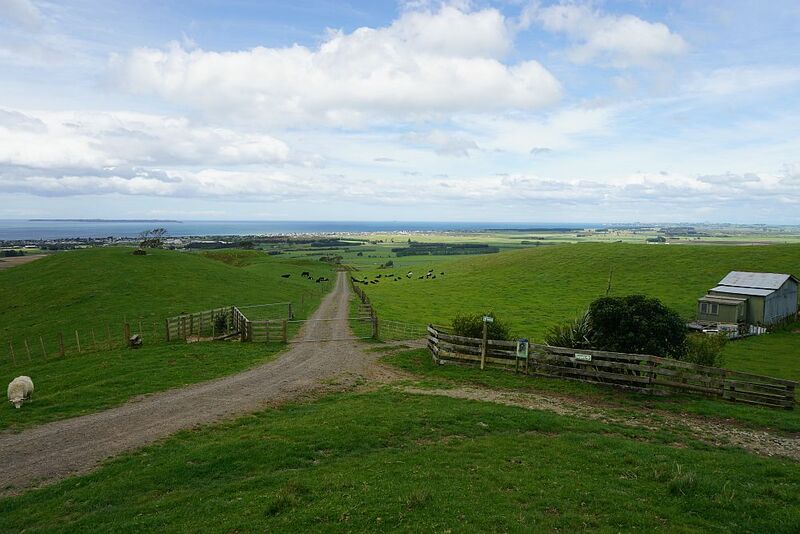 Views to Mt Maunganui/Mauao on the left. Mayor Island can be seen in the distance on the far right. 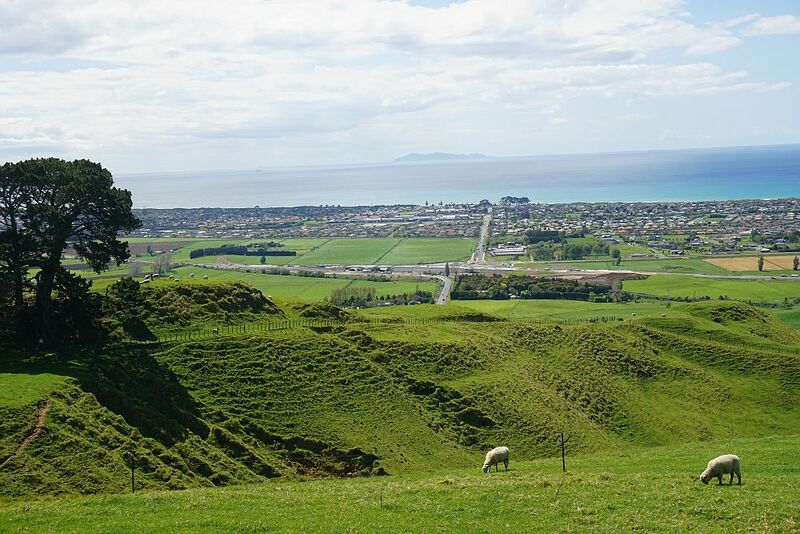 Parts of the suburb of Papamoa can be seen along the edge of the ocean, with Motiti Island visible in the centre near the horizon. 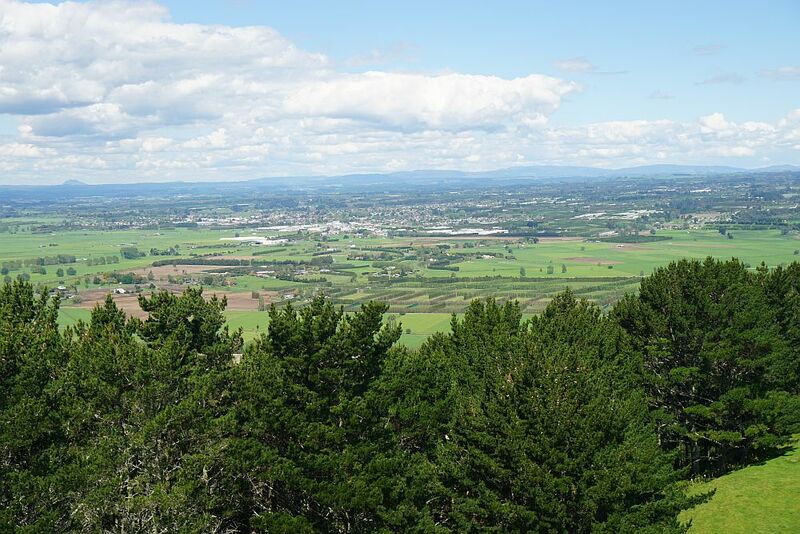 Further to the east the township of Te Puke is clearly visible. 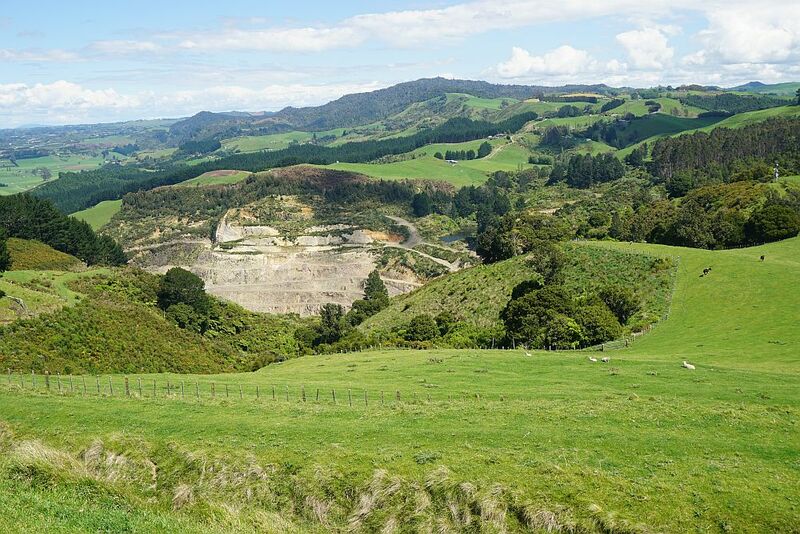 Mt Edgecumbe at 820m height, near Kawerau, can be seen on the far left peeping up above the hills in the foreground. There are ditches around the pa sites. 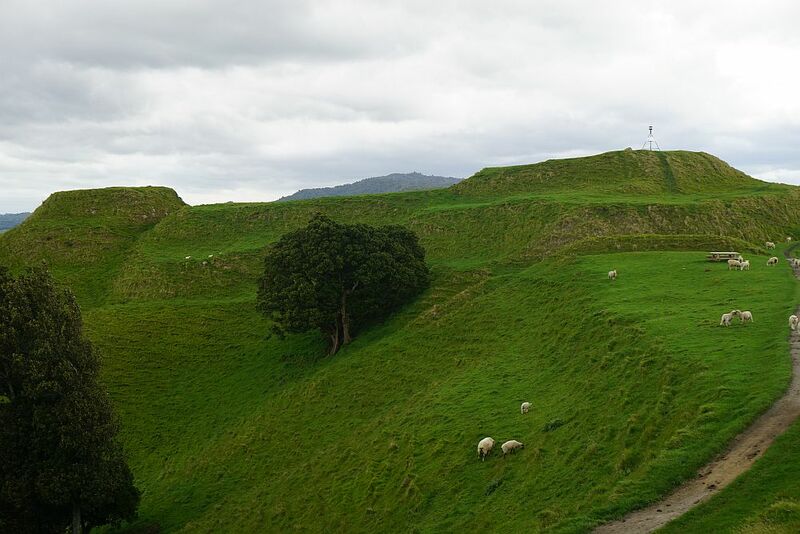 The ridge on the side would have stockades along the top, providing a line of defence against any enemies attacking the pa. The ditch and the steep faces to the top of the pa would be the next line of defence. Stockades usually consisted of upright sharpened manuka stakes, but these have of course disappeared during the 150 years or more since they were in use. 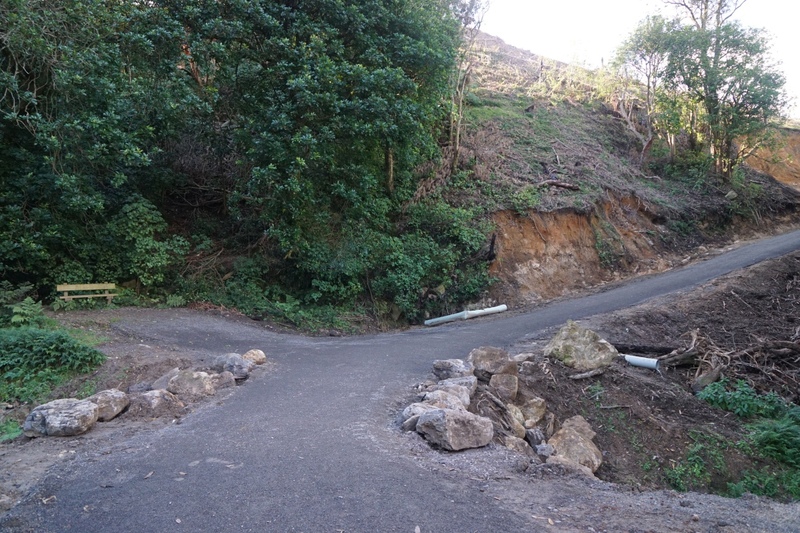 The ditches and other landscaping would have been done without the use of metal tools. Only stone and wood tools were used. 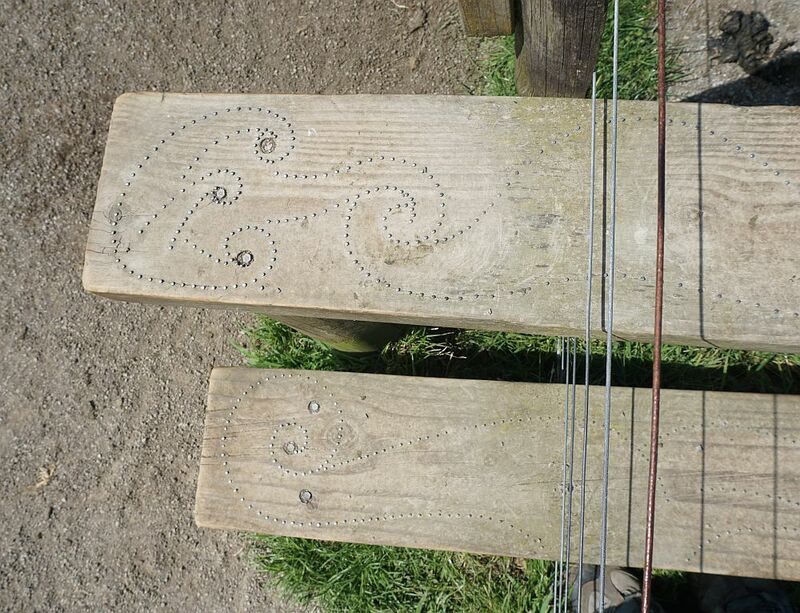 The steps on the stiles crossing the fences have been decorated with various patterns, formed using small nails with slightly raised heads, providing non-slip surfaces. A pair of binoculars has been set up, allowing a good 360 degree view of the surrounding area. Another nearby pa site, unfortunately closed off due to danger from falling branches from the large, old pine tree. 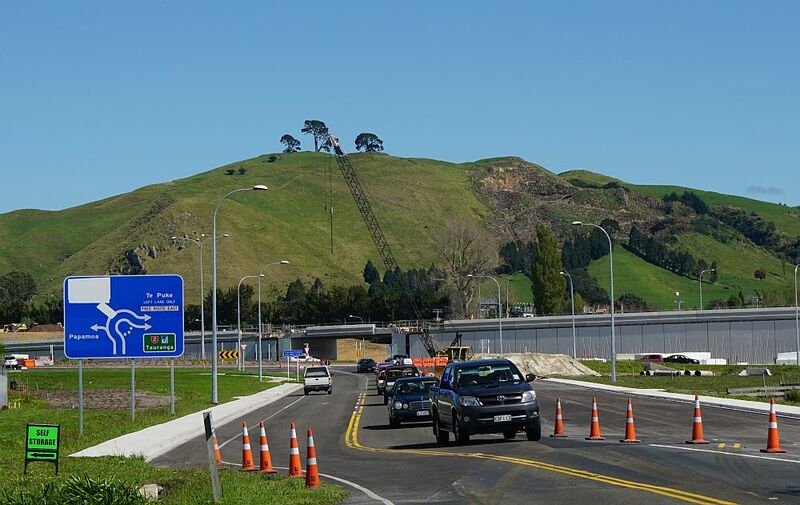 There is a good view of the construction of the new Tauranga Eastern Link at Papamoa. Here looking straight down Domain Rd to the Palm Beach shopping centre, and with Mayor Island in the distance. 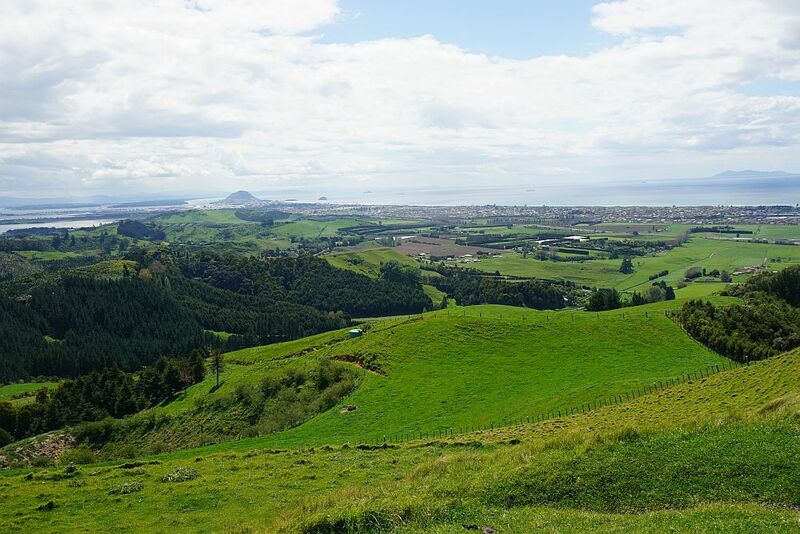 Looking up at the Papamoa Hills Regional Park from Domain Rd. The pine tree on the closed pa site is the one on the right. The distance walked was about 5.5 km. Compare the GPS track log with the tracks on one of the information panels located at various track intersections within the park. The pa site to the upper right was not visited on this walk. The tracks were walked on October 20, 2014 and on several previous occasions. Edited on October 31, 2014 after a new walk covering all the tracks shown on the above information panel. Total distance just over 6km, and total time about 1h 40m. The start of the track to the pa site at the upper right is not too obvious, and it was missed on the previous walk. This shows the location, either following the formed road through the closed gate to a stile crossing the fence where the road turns to the right, or by crossing the stile to the left and continuing down alongside the fence and road to the next stile. The earthworks at the pa site are reasonably well preserved. 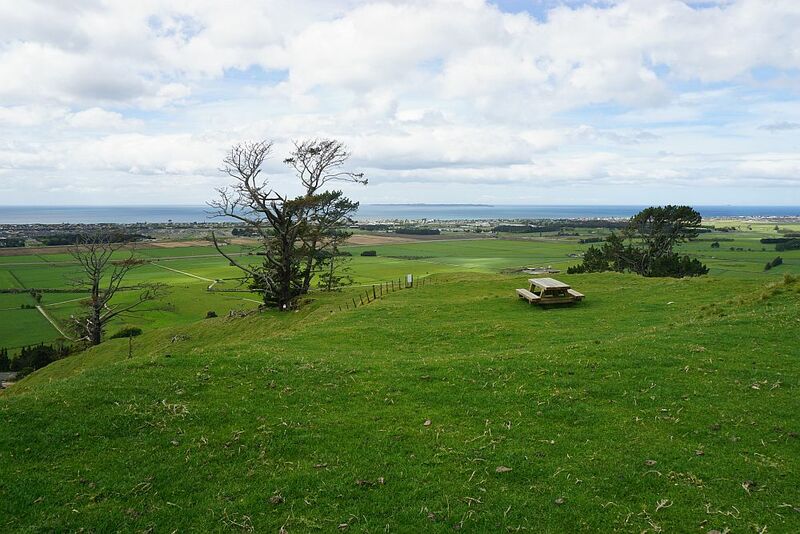 There is a very solid picnic table at the pa site, overlooking Papamoa East and the Pacific Ocean. 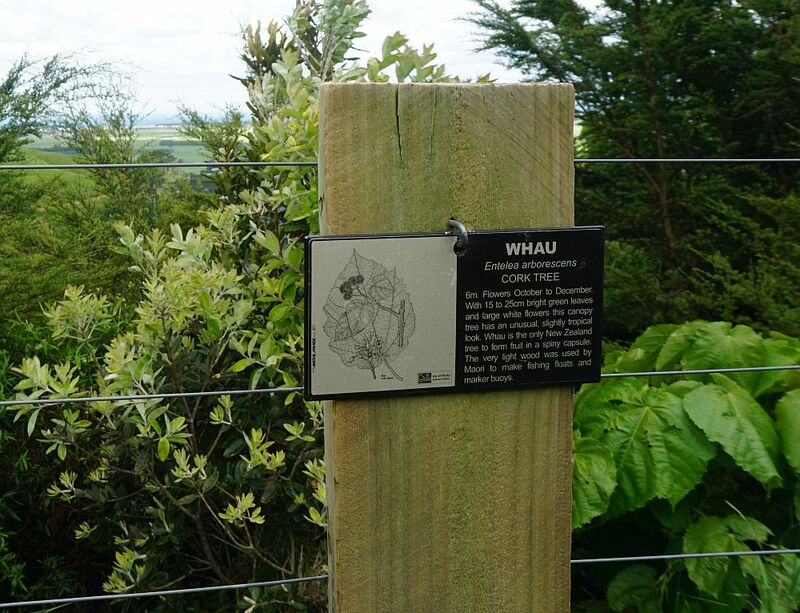 Native plants have been planted at various locations within the Regional Park, with panels to identify them and provide some information about the plants. The highest point in the park. The peak in the distance between the two pa sites is Otawa, at 565m asl. 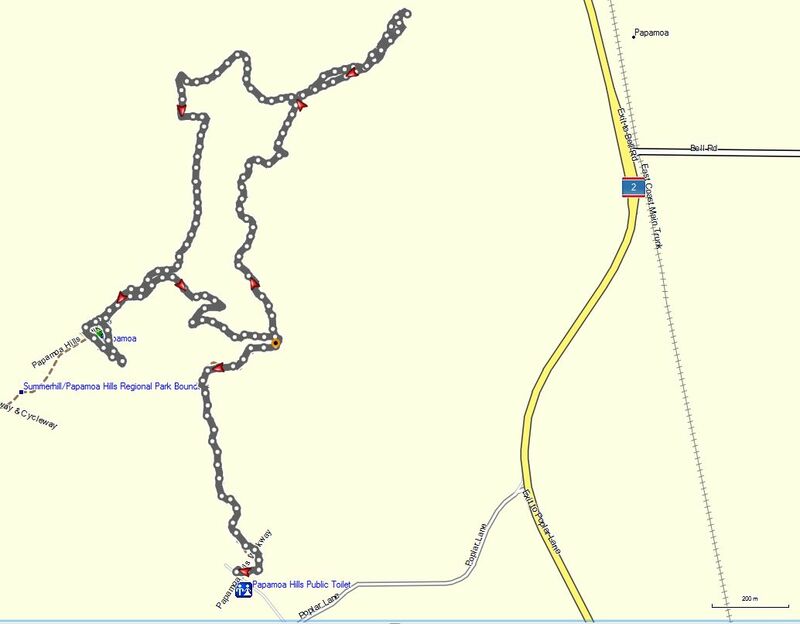 New GPS track log from walk on October 31, 2014, covering all tracks and accessible pa sites. 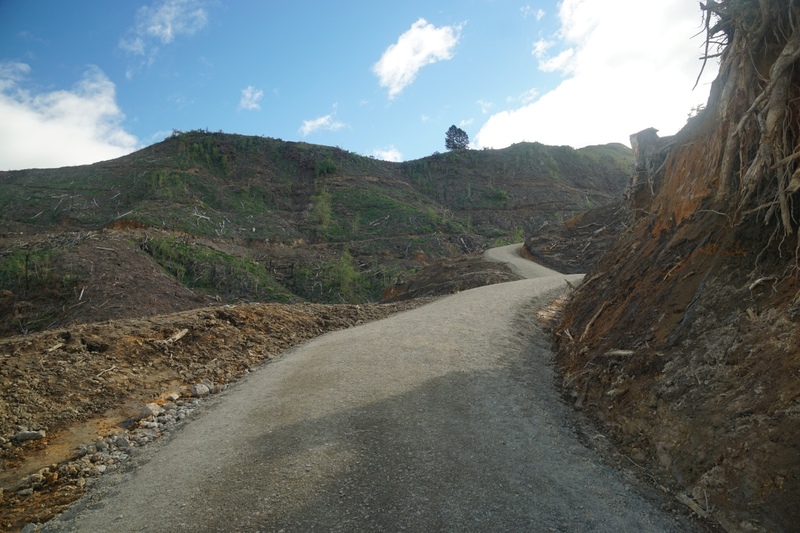 The pine trees by the carpark and the first part of the walk have been felled, and the track has been re-formed. The information panels previously located at the start of the track have (currently) not been replaced. The start of the track to the summit. The first part of the track has been completely re-formed and widened. It follows quite closely the path of the original track. The track still passes the bench seats. Here the one in a small grove of native trees. 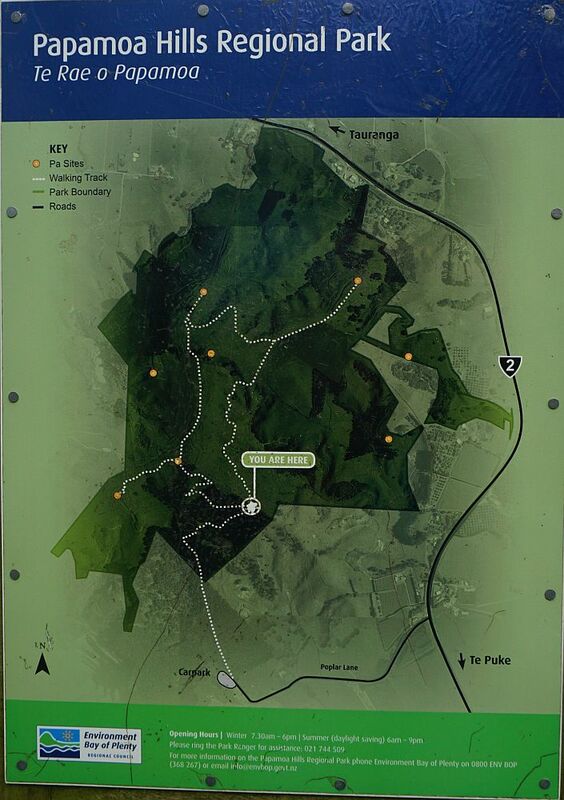 The views from the top pa site, marked on the smaller information panels alongside the track as Karangaumu, have improved. 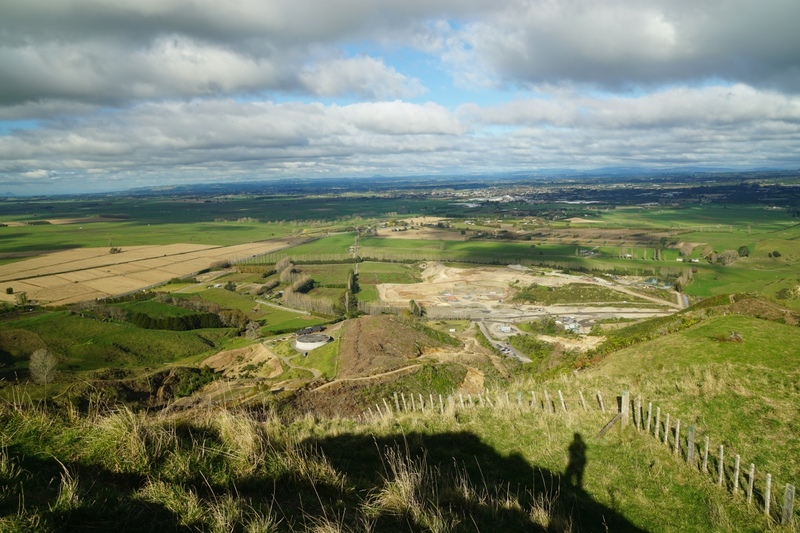 Especially looking down to the carpark and quarry, and towards Te Puke. 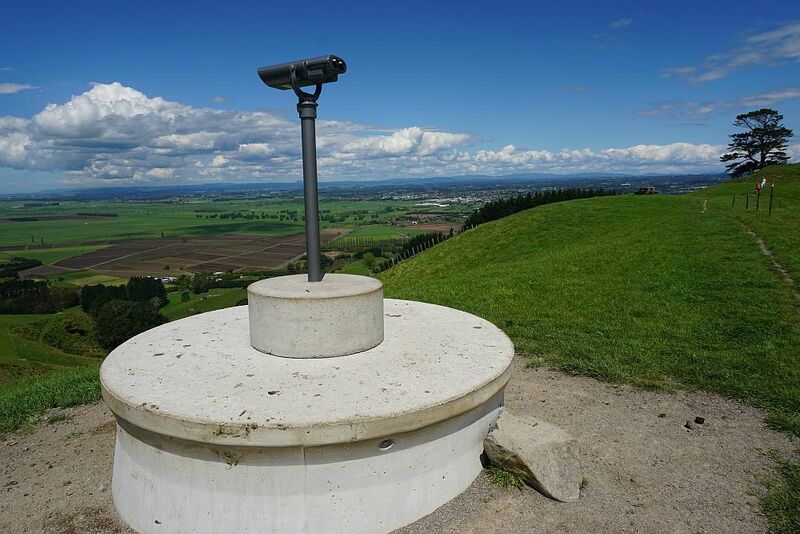 On a walk in November 2018 the binoculars shown in the original post couldn’t be found, so they have apparently been removed. The direct track from the carpark to the summit is about 1.9 km long. The GPS tracklog shows the direct track only. The profile graph shows the elevation changes from the walk to the trig station and summit just to the south-east of the trig, and then back down to the carpark. 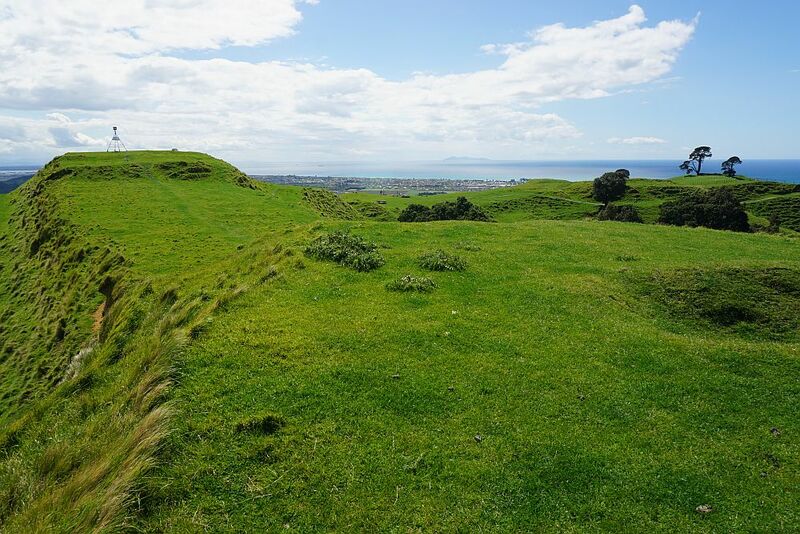 This entry was posted in Walks and tagged Papamoa Hills, Tauranga, Te Puke on 2014-10-20 by nzartig.